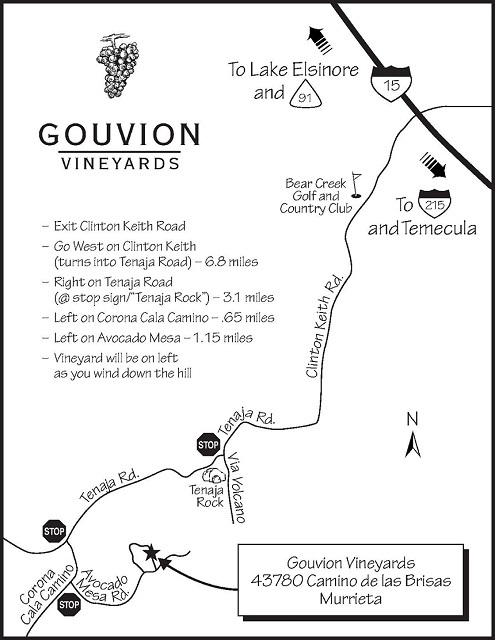 Gouvion Vineyards is a family owned, boutique vineyard located in the coastal hills of Southern California. 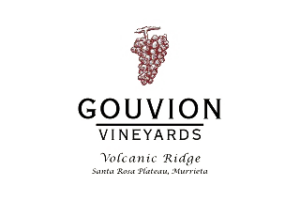 The Gouvion family has developed their Tuscan inspired vineyard above the Santa Rosa Plateau at an elevation of 2400 feet amongst the native oaks and with red volcanic soils. The vineyard benefits from a unique micro climate and produces exceptional red wines. The Villa. After spending three years meticulously planning the project, we began construction not by building up, but by digging down! The Villa has been built into the hillside using a unique straw bale and shot-crete construction technique. The result is an old world, rustic Tuscan look that utilizes environmentally friendly and sustainable materials. The three foot thick walls and insulated roof maintain ideal temperatures within the structure. In a further effort to make the property as environmentally friendly as possible, the estate runs on electricity generated through our on-site solar farm.